It’s part one of our two-part celebrity’s story. 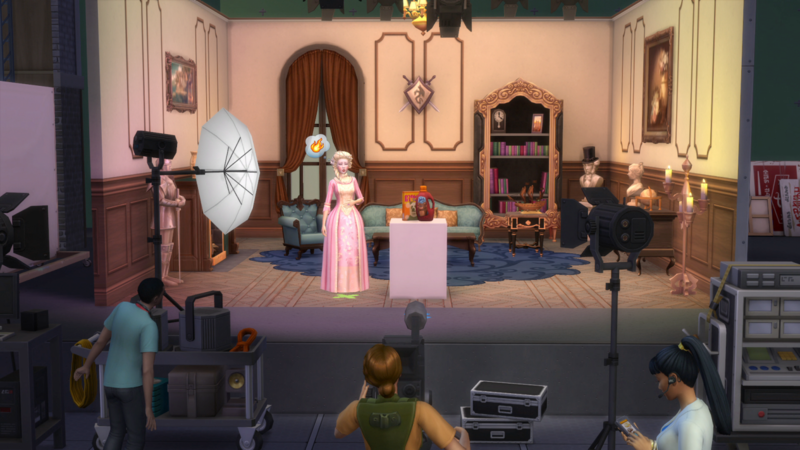 Simmers, in honor of the upcoming release of The Sims™ 4 Get Famous*, we’d like to introduce you to Venessa. She’s a Sim who’s new to Del Sol Valley, and has big plans for her future. This will be a two-part story. We hope you enjoy! She was all unpacked, but there were papers strewn everywhere. “I know it’s here somewhere,” Venessa said to no one. She continued rustling through the last of the boxes. Where was it? Just then, Venessa noticed a small box in the corner of her bedroom. She must have missed that one. After ripping open the packing tape, she spotted the list on top of a stack of her favorite books. It was her lifelong dream to come to Del Sol Valley, and Venessa was ready to take on the challenge of becoming a world-famous actress. But there were a few hurdles she’d need to jump over to get there. And to keep her on track, she put them into a list. Venessa was so relieved to hear a friendly voice. She had moved here on her own, barely knowing anyone, and Tasha – a friend of Venessa’s high-school pal Luke – showed up at the perfect time. They immediately hit it off, hung out, and began practicing Venessa’s scenes together. It was even Tasha’s idea to perform in public for tips. “I’m not so sure this is a good idea,” Venessa had said, slowly beginning to blush. Well, what did she have to lose? The first few times they performed in public, people gave them confused looks. But after a few more times, the same people started taking notice. They even drew a small crowd on a Saturday. Performing helped pay the rent, though Venessa wasn’t getting called for any auditions. But they kept at it, and Venessa began performing on her own. And one day – finally – the phone rang. “Ms. Jeong, we’ve heard good things, and we’d like to represent you,” said the voice on the other end. Venessa was all but squealing with excitement when she accepted the offer from one of the most prestigious agencies in Del Sol Valley. She crossed “GET TALENT AGENCY” off her master list. This. Was. It. The big time. After that call, the agency gave her a couple of low-paying auditions. Yep, she’d have to pay her dues. But she didn’t care. She was on set, in hair and makeup, chatting up the director, and slowly living out her dream. She knew she had to step her game up for the next audition. The agency was counting on her. Tasha was right. Venessa couldn’t remember the last time she went to an actual party. “I’m on my way,” she said, dropping the list for now. Venessa glanced down at her phone. Three missed calls and nine text messages. None were from the agency. It had been two days, and no word on how the Making Moosic audition went. Hours went by. Still nothing. When she finally got the call, Venessa already knew she didn’t get it. The words “LAND BIG AUDITION” seemed larger than ever on her list. Ugh, the doorbell. All Venessa wanted to do was stay in her pajamas and curl into a ball. Venessa swung open the door to reveal a whole group of her newfound friends, all in their pajamas. They all stomped in, popcorn, candy, and blankets in tow, and headed straight for the TV. Venessa couldn’t help but smile. She might not have found fame just yet, but she knew she had found home. 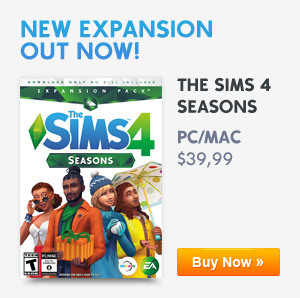 The Sims 4 Get Famous Expansion Pack releases November 16, 2018 for PC and Mac. Previous ArticleThe Sims 4: November Game Patch Overview!Next ArticleThe Sims 4 Get Famous: Acting & CAS Livestream Is Now LIve!